Jocelyn Goranson, adjunct instructor of flute and music theory, performed a recital titled “Let the Earth Rejoice” on Jan. 18 during a guest artist visit to Penn State University, where she also taught a masterclass for the Department of Music. She performed the same program on Jan. 27 at St. John’s Hain’s United Church of Christ in Wernersville, Pennsylvania, as part of their Annie Gaul Concert Series. Jocelyn was joined by Baltimore-area clarinetist Dr. Fiona Knoll, and Messiah College graduate Douglas Beach on piano. Dr. Scott Kieffer, professor of health and exercise physiology, was quoted in The Strategist (New York Magazine) article “Does the Arc Trainer Really Burn As Many Calories As It Claims?” on Jan. 14. Scott has researched exercisers’ calorie burn in comparison to the machine’s display. …That you can learn all about Messiah College’s visual identity and branding at our updated website: www.messiah.edu/visualidentity? You can now download your official logos, view the athletic logos and download see anew brand marks for use in your publications. Conference and Event Services created a one-sheet with tips for presenters when using projection and microphones. These tips will help you with some of the technical aspects of a presentation. Tips can be viewed here. If it becomes necessary to delay or cancel classes due to weather on the Grantham campus and at the Winding Hill facility, only those students and employees who have signed up for text alerts will receive a text notice regarding such a delay or closure. A delay or closure notification will also be placed on the home page of the College’s website, as well as being available by calling the emergency information line at 717-691-6084; a recording will provide you with a date and time of the most recent message. Morning announcements are made no later than 6:30 a.m. If in doubt, please check the website or call the information line if you are not signed up for text alerts. This information is NOT provided to the local media. Please note, any notice of a delay and/or cancellation of an EVENT hosted at the College will only be available on the emergency line and not through the text alert system or website. Employees involved in snow removal, facilities, campus events, and dining should follow the instructions given by their respective supervisory staff during a delay or closure. For the safety of our students and employees, and in order to be compliant with federal law, The Clery Act, Messiah College’s method to notify students and employees of critical emergency situations is provided through the college’s Text Alert System. If you have not signed up for Text Alert, please do so today. The text alert sign-up can be found on FALCONlink by typing the words text alert system in the search box. Attached are instructions to complete the sign up. Representatives from the Cumberland County Court House will be on campus at the Eisenhower Commons between 10:30 a.m. and 1 p.m. on Tuesday, Feb. 26, 2019 to process passport applications. Applicants need to bring the following documents: • Original birth certificate, PLUS A PHOTOCOPY OF THE BIRTH CERTIFICATE • Driver’s license PLUS A PHOTOCOPY OF THE DRIVER’S LICENSE. • Copy both front and back of the driver’s license on the same side of the page • Non-PA residents also need to bring their Messiah ID along with a photocopy of their ID • Completed application • Fees ($110 check made out to the U.S. Department of State and $35 cash or check made out to the Prothonotary’s Office) • Photo services will be available. Cost is $10 in cash or check made out to Messiah College. Applications can be downloaded at https://eforms.state.gov/Forms/ds11.pdf. Please contact intercultural@messiah.edu if you have questions. An exhibition in collaboration with the Department of English will take place Feb. 6- March 15 titled “Shale Play: Poems and Photographs from the Fracking Fields” by Julia Kasdorf and Steven Rubin. “Shale Play,” a singular work from an award-winning poet and a veteran documentary photographer, tracks the natural gas boom in the small towns, fields and forests of Appalachian Pennsylvania. In the era of the visual and verbal meme, Rubin and Kasdorf pair documentary poems with photographs in a volume that can be held in the human hand and shared, even in communities that lack high speed internet access. A passionate work of listening, looking and witness, “Shale Play” follows the documentarians of the 1930s but in color and contemporary poetics, and once again dares us to care. Taekyeom Lee is an interdisciplinary artist, although he prefers to introduce himself as a designer using artist’s material and artistic sensibility. It is already undeniable that we are facing a paradigm shift in many forms of art and design as the exciting and rapidly changing digital environment introduces new possibilities. Three-dimensional printing, in particular, has become more refined, common and accessible. As the extension of hands, these new technologies became new tools for pushing the boundaries of the ceramic medium, both regarding concept and materiality. Exhibits Feb. 15-March 14 Climenhaga Building, Aughinbaugh Art Gallery Artist’s Talk and Reception Friday, Feb. 15, 4:15 p.m. Climenhaga Building, Aughinbaugh Art Gallery, Steinbrecher Feb. 7, 4:15 p.m. The Career and Professional Development Center is offering the following events as part of the spring Pizza with Professional series. All events are held from 12:30-1:30 p.m., and free pizza is provided. During the 2018-2019 academic year, Messiah College will explore how incarnating our mission as a Christian college of the liberal and applied arts and sciences in a rapidly changing and increasingly skeptical cultural context contributes to the common good of church and society – a common good rooted in a Christ-centered commitment to the dignity, welfare and human flourishing of all our neighbors. The Office of the President is sponsoring a lecture series devoted to this exploration. Todd Allen’s lecture, “Understanding our Civil rights Past, Shaping our Shared Future” will take place on Tuesday evening, Feb. 12 at 7 p.m. in Parmer Hall. The lecture will be 30 minutes and followed by a Q and A session. Chapel credits will be offered. The Falcon Fitness Center is excited to offer a new service through our online booking system. Go to http://www.messiah.edu/fitnesscenter/booking,pick a time on the calendar, select 8-week program, fill out the goal sheet and one of our student strength and fitness coaches will be ready to take you through your 8 week program. See you there! On Saturday, Jan. 26, the Graduate Program in Education hosted a gathering for those involved in Church-based ESL. Held at the Winding Hill campus, over 50 participants gathered to connect and learn. Many churches and several different programs were represented. Dr. Jan Dormer provided sessions on second language acquisition and English ministry, with ample discussion time for reflecting together on effectiveness and mission. All indicated that they would appreciate more such gatherings, and our program is looking at how we can continue to serve churches that are stepping into the gap to meet the needs of the immigrants in our communities. What really comes after the “happily ever after?” Find out this weekend, as Messiah’s Department of Theatre and Dance presents Stephen Sondheim’s “Company,”* a musical comedy about the complexity of relationships. “Company” opens this Thursday night and runs for two weekends in Miller Theater. Tickets for Thursday’s opening night performance are also buy one, get one free! “From musical theatre’s most renowned composer, “Company” is largely regarded as a trailblazer of the modern-musical genre and the winner of seven Tony Awards, including Best Musical, Best Score, Best Lyrics and Best Book. On the night of his 35th birthday, confirmed bachelor, Robert, contemplates his unmarried state. Over the course of a series of dinners, drinks and even a wedding, his friends – “those good and crazy people [his] married friends” – explain the pros and cons of taking on a spouse. The habitually single Robert is forced to question his adamant retention of bachelorhood during a hilarious array of interactions.” – From https://www.mtishows.com/company “Company” runs Feb. 7—10 and 14—17. Thursday, Friday and Saturday performances are at 8 p.m. and Sunday matinees are at 3 p.m. Tickets can be purchased at the ticket office, by phone at 717-691-6036, online at www.messiah.edu/tickets, or at the door as available. * Please note that this performance contains mature content and adult language, and may not be suitable for all audiences. Viewer discretion is advised. Get your tickets today! On Wednesday, April 17, Murray Library and the Office of Diversity Affairs will be hosting the Human Library. The Human Library is designed to build a positive framework for conversations that can challenge stereotypes and prejudices through dialogue. “And what library is complete without books?” If you would like the opportunity to be a book and tell your story, please sign up at this link: https://messiah.qualtrics.com/jfe/form/SV_37v5VgYD9SA3g5D. For more information contact Liz Kielley at ekielley@messiah.edu. To learn more about the Human Library organization, visit this website: http://humanlibrary.org/. Do you ever utilize Messiah’s mass e-mail system to send messages or announcements? Do you have an event you need to promote or important information you need to convey to the campus community? For the past two years, a new mass e-mail system has been in development, one with greater flexibility and improved functionality. We are excited to announce that this upgrade will occur at the end of February. We are currently in our final testing phase and training opportunities will be available in a few weeks. Please sign up for one of the training sessions. These will occur in Parmer Cinema and the dates and times are as follows: Feb. 26: 12:30 to 1:30 p.m. Feb. 27: 9 to 10 a.m. You may sign up simply by e-mailing CollegePress@Messiah.edu with your name, e-mail address, phone extension (if applicable), and preferred date for training. Additional training opportunities may be available at a later date if there is need. Child Craft (Chesapeake Bay) honey oak bunk bed set including guard rails and ladder. Matching dresser/dressing table. Very good condition. Pictures available. 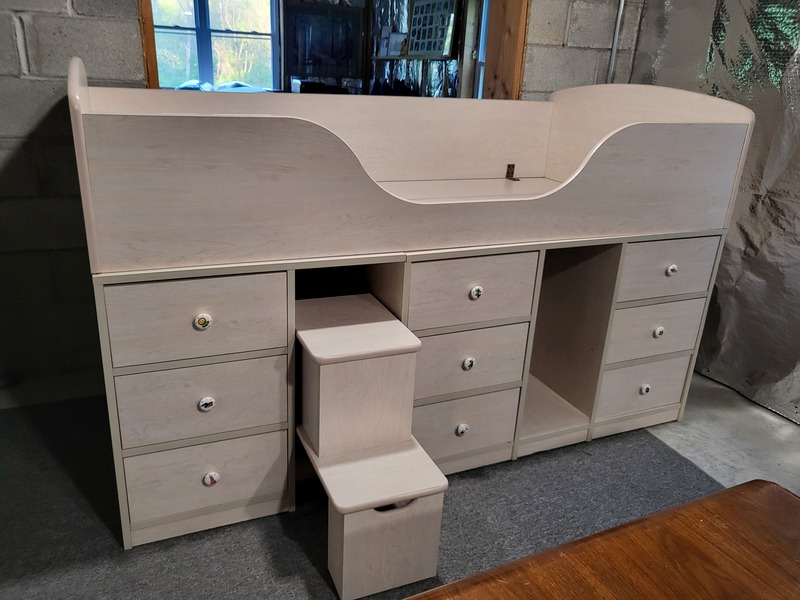 $150 for bunk beds and dresser or $75 separately. Collection of many Polly Pocket dolls, clothes and accessories $25 for large box full. Ping Pong Table like new $150. If interested, contact pseibert@messiah.edu. Looking for wedding videographer. I am seeking recommendations for a wedding videographer for Aug. 10 in York, Pennsylvania. Please email me at lwagner@messiah.edu if you or someone you know might be interested. Would you be interested in learning and sharing together in a unique cultural experience with a Christian young adult from another part of the world? The Collaboratory, together with Mennonite Central Committee [MCC] is exploring a first time partnership through the International Volunteer Exchange Program [IVEP]; a yearlong work and service exchange opportunity for young adults aged 18-30. We are currently seeking a host family(s) interested in engaging and including a young adult in their home and family life. Host Families are an integral part of the program, serving as a bridge to the church and community and provide space for an IVEP participant to experience home and family life in a North American context. Host Families have opportunity to host for either half or full year, mid-August through Mid-July. A monthly stipend of $350 is offered to help offset the cost of hosting. Click here to learn more about IVEP Host responsibilities. If you would have interest in this possibility, please contact Doug Flemmens to further the conversation. We can’t move forward without you! Over 30 teachers and school counselors from over nine regional school districts recently gathered at Winding Hill to attend the session, Anxious Kids and Teens: How School Counselors and Teachers Can Make a Difference. Dr. Deedre Mitchell, associate professor of counseling, led the training session and participants had the opportunity to earn PA Act 48 credits. Special thanks to Beth Trott Clark, adjunct counseling instructor, for coordinating this event. Be on the lookout for additional continuing educational opportunities on timely topics. Dr. Todd Goranson, professor of music, performed a recital program of music by woman composers and arrangers with the Junction Saxophone Quartet at the 2019 U.S. Navy Band International Saxophone Symposium on Jan. 12. Also an invited lecturer, Todd presented a one hour talk titled “Fight, Flight or Freeze: Strategies for Coping with Performance Anxiety”. The 41st annual event was hosted by George Mason University in Fairfax, Virginia. Exhibits Feb. 6 – March 15, Climenhaga Building, Climenhaga Galleries (upper) Artist’s Talk/Poetry Reading and Reception: High Center, Steinbrecher Feb. 7, 4:15 p.m. The Dining Services Department has an opening for a full-time dining room supervisor. For additional information and to apply, please visit: http://jobs.messiah.edu/postings/14307. Job related questions may be directed to Todd Christopher, restaurant operations manager, at tchristopher@messiah.edu. The Facility Services Department has an opening for a full-time general maintenance mechanic (preventative), 2nd shift. For more information and to apply, please visit: http://jobs.messiah.edu/postings/14305. Job-related questions may be directed to Brad Markley, director of facility services at bmarkley@messiah.edu or Dan Smith, facility maintenance service manager, at dsmith@messiah.edu. The Oakes Museum of Natural History has an opening for an on-call museum teaching docent. For more information and to apply, please visit: http://jobs.messiah.edu/postings/14310. Job-related questions may be directed to Helena Cicero, museum director, at hcicero@messiah.edu. Residence Life currently has an opening for a temporary, part-time summer residence director. For more information and to apply, please visit: http://jobs.messiah.edu/postings/14334. Job-related questions may be directed to Amanda Coffey, vice president for human resources and compliance, at acoffey@messiah.edu. Dining Services has an opening for a full-time culinary assistant. For additional information and to apply, please visit: http://jobs.messiah.edu/postings/13458. Job-related questions may be directed to Mark Wirtz, director of dining services, at mwirtz@messiah.edu. The Athletic Training Department has an opening for a full-time coordinator of athletic training services. For additional information and to apply, please visit: http://jobs.messiah.edu/postings/14320. Job-related questions may be directed to Kris Hansen-Kieffer, vice provost/dean of students and assistant professor of exercise physiology , at khansen@messiah.edu. Have you taken a new position within Messiah College? Is your colleague retiring? Does you department have an upcoming event? Have you cleaned out since Christmas and have personal items you’d like to sell? Place a listing in the Intercom. 1. All submissions for the Intercom should be submitted through this form. Announcements submitted in the comment section of the blog or sent to any other email address are not accepted. 2. For publication in the Thursday newsletter, the announcement must be received by 4 p.m. on Tuesday. 3. Submissions may not exceed two publications. Dates do not have to be consecutive. 4. Adding a photo with your submission? Please hyperlink that photo within your submission. 5. If you still have questions contact: intercom@messiah.edu. Please note, any notice of a delay and/or cancellation of an EVENT hosted at the College will only be available on the emergency line and not through the text alert system or website. Employees involved in snow removal, facilities, campus events, and dining should follow the instructions given by their respective supervisory staff during a delay or closure. The Business of Culture: Strong leaders understand that a team’s accepted, celebrated behavior plays a significant role in determining organizational success. Identifying core values that describe the desired culture is straight-forward, consistently nurturing that culture to reality while scaling is the real challenge. Come hear Justin Bredeman share what Soccer Shots is doing to intentionally develop culture within their local team and throughout their national franchise system. This event is open to EVERYONE! You do not have to be a Messiah alum or business major, and attendance at previous events is NOT a prerequisite. Event Cost: $15 (employees will need to enter org codes and account number and use the promo code STAFF to avoid using a personal credit card. Our spring group exercise classes have started! A $35 membership gets you access to all our J-term and spring classes. Go to our website to see the schedules and to sign up. We hope to see you there. As part of the College’s annual observance of Martin Luther King Day, the Library will close Sunday, Jan. 20 at 8 p.m. and will re-open Tuesday, Jan. 22 at 7:30 a.m. Please plan accordingly. Join Terell Stafford, artistic director and world renowned trumpet player, and the Jazz Orchestra of Philadelphia (JOP), in a celebratory concert on Tuesday, Jan. 22, for the Martin Luther King Jr. holiday. Joining JOP will be Rutha Harris, one of the original Freedom Singers, and Messiah’s own gospel choir, United Voices of Praise, Eric Byrd, conductor. JOP is an orchestra of 17 stellar, homegrown musical artists dedicated to presenting the highest quality jazz to the greatest number of people and is designed to preserve, represent and continue Philadelphia’s unique, rich jazz sound and tradition. JOP aims to become the face of Philadelphia jazz, establishing the city as a nationally and internationally recognized destination for jazz performance. The concert will be held at 8 p.m. in Parmer Hall. Tickets are $20 per person. Messiah College students, $5; children under 12 are free. 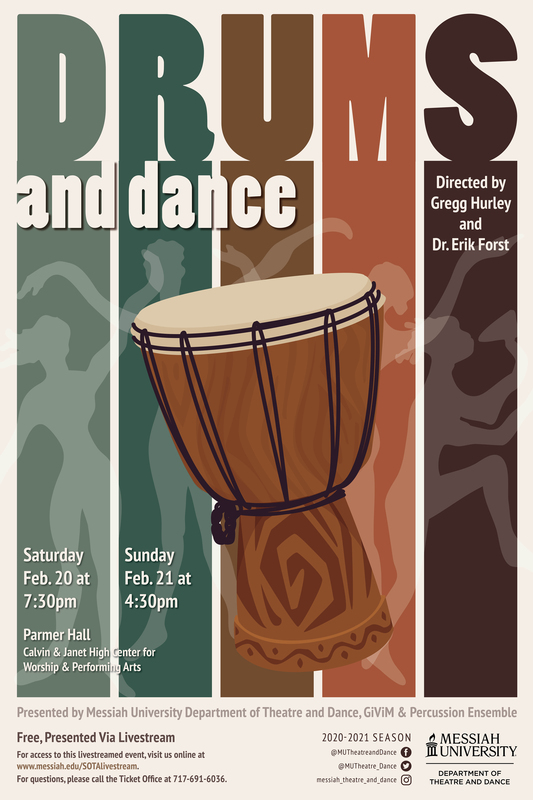 To purchase, please contact the Messiah College Ticket Office at 717-691-6036 or online at messiah.edu/tickets. Intercultural Office – Multicultural Programs is proud to present the 2019 MLK Commemoration series beginning Friday, Jan. 18-24. It is the College’s goal to reflect on the vision and Christian ministry of Rev. Dr. Martin Luther King Jr. for the purpose of encouraging and cultivating a deeper commitment to be God’s agents of justice, peace and reconciliation. For all the details on the MLK events, visit www.messiah.edu/mlk or see the attached poster for all the events planned. • Driver’s license PLUS A PHOTOCOPY OF THE DRIVER’S LICENSE. • Photo services will be available. Cost is $10 in cash or check made out to Messiah College. 1. Careers and Opportunities in Higher Education – a Pizza with Professionals event Wednesday, Jan. 23, noon-1 p.m., Hostetter Chapel A panel of Messiah College staff will speak about the many varied positions and career paths available in higher education Students will learn about opportunities available as an undergrad which will give them a head start in this profession. Free pizza will be provided. 2. Into the City Mini to WebFX in Harrisburg, PA Thursday, Jan. 24 – leave Messiah at 2 p.m. and return by 5:30 p.m. We will tour the offices of WebFX, which has been named the #1 Best Place to Work in PA for three years in a row. Over 20% of their workforce is comprised of Messiah College alumni, and we will have a chance to meet and interact with these alums through a panel presentation and question and answer session. WebFX is hiring so this is a great chance for students to make valuable job and internship connections. The Agape Center for Service and Learning is currently seeking advisors for J-Term and Spring Break domestic service trips. Advisors serve alongside students, assist student leaders in facilitation of reflection and devotions, and assist in any problem-solving that may arise. All costs are covered for advisors and, if you are eligible, you can apply for a missions/service leave request through Human Resources so that you would not have to use vacation time! For information about specific trip locations, please visit: https://www.messiah.edu/info/22535/service_trips If you’re interested in serving as an advisor or have questions, please contact Shardé Hardy (shardy@messiah.edu). Any employee interested in improving their digital skills may enroll in the Sawyer Digital Proficiency Initiative’s (DPI) Certificate Program courses offered during the 2019 spring semester. The DPI Certificate Program course (DIGC 010) runs from February 4 to May 7. • Section 1 – Monday evening – 6:15 – 8:45 p.m.
• Section 2 – Wednesday evening – 6:15 – 8:45 p.m.
To enroll email digitalproficiency@messiah.edu with course section preference. Registration is now open for Saturday Science Programs at the Oakes Museum of Natural History at Messiah College. Curator Club (grades 3-5) and CC2 (grades 6-8) are science enrichment programs on a variety of topics in a fun learning environment. Winter topics include cells and scopes, the science of color, chemical reactions, and more. To sign up or find out more go to messiah.edu/oakes or contact us at ext. 2659. The Career & Professional Development Center has an opening for the full-time (20 hours per week for the months of June & July) position of Coordinator of Internships and Special Events. For more information and to apply, please visit: http://jobs.messiah.edu/postings/14237. Job-related questions should be directed to Christy Hanson, director of the Career and Professional Development Center, at chanson@messiah.edu. The Department of Facility Services has an immediate opening for the position of grounds manager. For additional information and to apply, please see: http://jobs.messiah.edu/postings/14185 Position-related questions may be directed to Brad Markley, director of facility services at bmarkley@messiah.edu. The Grounds Services department has an opening for a part-time seasonal groundskeeper. For more information and to apply, please visit: http://jobs.messiah.edu/postings/14229. Job related questions can be directed to Bradley Markley, director of Facility Services, at bmarkley@messiah.edu. Graco Contender 65 Convertible Carseat – Never used car seat for sale. Still in the box. Manufacture date: 4/2016. Weight range 5-65 pounds. Asking 75$. Contact tjankouskas@messiah.edu. A 3-bedroom, 1.5 bath apartment will be available March 1 for rent. Located on Penn Street between Alvero’s Bread and Pastry and Little Amps Coffee Shop. End unit with a washer and dryer in basement. Great rental for roommates or couple. Apartment will be available March 1 but has flexibility on start date for renters. Please contact Lauren at LWalter@messiah.edu with interest or questions. The Agape Center for Service and Learning is looking for a co-advisor for our upcoming summer 2019 international service trip to La Mina, Dominican Republic. The trip will take place from July 22-30. The team will be working alongside Food for the Hungry in an effort to improve clean water access for the community. The co-advisor will be responsible for leading a 10-person team. All expenses (i.e., travel, food, accommodations, etc.) are covered. While not required, it is helpful for the individual to know Spanish. For more information regarding advisor expectations or to express interest, please email the international service-learning coordinator, Ashley Leggett, at nismoffice@messiah.edu by Jan. 11. In order to better meet the safety and educational needs of the campus, the Department of Safety has completed a restructuring, effective Jan. 1. • Cindy Burger is the director of safety and will provide overall direction and oversight to the department. • Lynn Maynard is the supervisor of administrative services and Clery coordinator. He will oversee the Dispatch Office and be the point of contact for Blackboard access. He will be responsible for gathering information from various offices to complete the annual Clery report. • Sean Paddock is the supervisor of events and technology. He will oversee the first shift officers and work with Liz Williams on event support related to traffic and security. • Kevin Prest is the supervisor of patrol and is the field training officer. He provides oversight to second and third shift officers and coordinates training for the staff. • Bryce Wickard is the supervisor of investigation and crime prevention. He will provide leadership to crime prevention programming for students. In addition, he will coordinate various criminal investigations, including Title IX incidents. • Section 2 – Tuesday evening – 6:15 – 8:45 p.m. The Registrar’s Office will be closed Wednesday, Jan. 16, noon – 5 p.m. for an office retreat. The School of Business, Education and Social Sciences has an opening for the position of managing director, International Business Institute. For additional information and to apply, please visit: http://jobs.messiah.edu/postings/14159. Job-related questions may be directed to Caroline Maurer, dean of the School of Business, Education and Social Sciences at cmaurer@messiah.edu. St. Bartholomew’s United Church (ELCA) in Hanover is celebrating its 175th anniversary. During worship on Sunday, Jan. 13, 9 -10:15 a.m., attendees will experience the era of 1844-1884 in a historic service reflective of the traditions and customs of the Lutheran and German Reformed congregations who worshipped there during those times. Social time, coffee, and snacks follow the service. All are welcome! Address: 1204 Grand Valley Road, Hanover PA, 17331 Website: http://www.stbart-hanoverpa.org Contact Sarah Myers at smyers@messiah.edu for more information. The INTERCOM will resume on Thursday, Jan. 10. Please join us to wish Faith Minnich Kjesbo well in her next adventure in Sioux Falls, SD. We will be gathering Thursday, Dec. 13, from 3 to 5 p.m. in Howe Atrium. Farewell remarks will be around 4 p.m. The end of the semester is almost here and many interlibrary loan items will be due back to the lending libraries. Please remember to return any ILL’s that may be due before heading off campus for break. Thank you! The Registrar’s Office will be closed Monday, Dec. 17, from 11:45 a.m. – 2:15 p.m. We wish everyone a joyous Christmas! The office of Conference and Event Services will open at 1 p.m. on Monday, Dec. 17 due to a department retreat. The Department of Safety has an opening for a full-time community safety officer, 3rd shift. For additional information and to apply, please visit: http://jobs.messiah.edu/postings/14085. Job-related questions can be directed to Lynn Maynard at lmaynard@messiah.edu. The School of the Humanities has a part-time opening for a special projects coordinator. For more information and to apply, please visit: http://jobs.messiah.edu/postings/14111. Job related questions may be directed to Pete Powers at ppowers@messiah.edu. House for rent. 2 bedrooms, 1 bath, 1 half bath, basement, carport, heat pump/ac, newly remodeled. Convenient location to the West Shore area, approximately 10 minutes from campus. No pets, no smoking. For details email Stephanie Cramer at scramer@messiah.edu or call 717-858-3181.2 bedrooms, 1 bath, 1 half bath, basement, carport, heat pump/ac, newly remodeled. Convenient location to the West Shore area, approximately 10 minutes from campus. No pets, no smoking. For details email Stephanie Cramer at scramer@messiah.edu or call 717-858-3181. Tall Christmas trees. Fresh-cut, trimmed fir and spruce. 12’-15′ $60-$70. Also, fresh holly $5/8×1′. 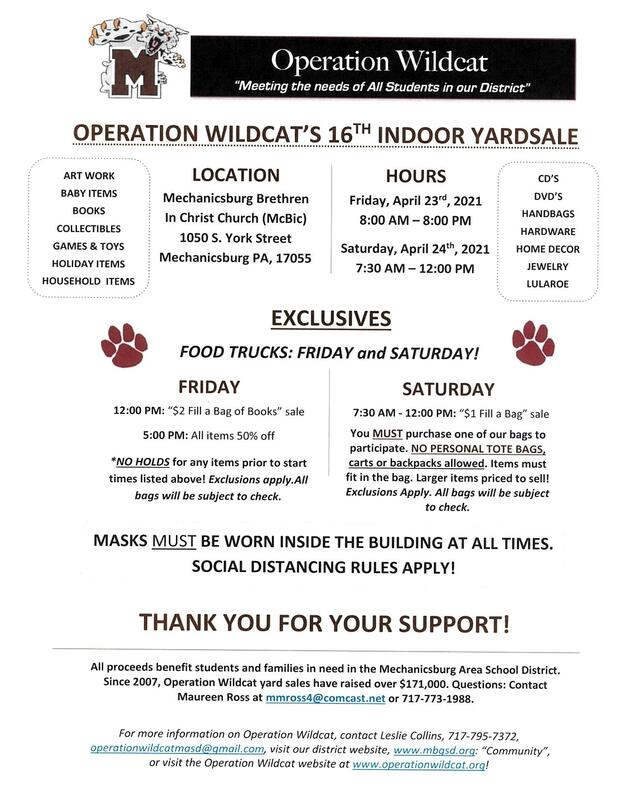 Located at 9680 Carlisle Rd., Dillsburg. Delivery available for $10. Contact Dale Fogelsanger at dfogelsa@messiah.edu or 717-623-0735. Misc. for sale. Safety First toddler bed rail. Like new. Asking $10. Ludwig Acrolite snare drum with hard shell case and snare stand. Good condition, asking $80. Please email me at balthoff@messiah.edu if interested. Lularoe randy baseball t-shirt. Gently worn. $15. Contact Karen: kgarlinger@messiah.edu. Dark Blue Full Size Bed Sports Comforter with various sports balls and bats – like new – asking $25; Full size Steelers Comforter bed set that includes comforter, bed skirt, pillow sham and curtain in good shape – asking $35. Queen size floral bedspread/quilt like new – asking $35. L-Shaped Walnut Desk in good shape – asking $35. Contact pseibert@messiah.edu for photos or more information. Ted Davis, professor of the history of science, will take part in an advisory board meeting at the National Museum of American History (Smithsonian), before Christmas. An exhibit about religion and science in America is being planned for 2021. Thanks to everyone who supported the Oakes Museum of Natural History during our Holiday Open House on Dec. 1. We welcomed more than 700 visitors to the museum that day! If you missed it, remember that the Oakes Museum is open on Saturdays from 1-5 p.m. and admission is always free for Messiah students, employees and their families. Free metal filing cabinet. Remington Rand, 3 drawer, metal filing cabinet for letter sized files. 41″ high, 15″ wide, 28″ deep. Works perfectly. Frames for hanging files included – already in the drawers. Works perfectly. Does not lock. Free to good home! Contact Creta Bieber if interested.